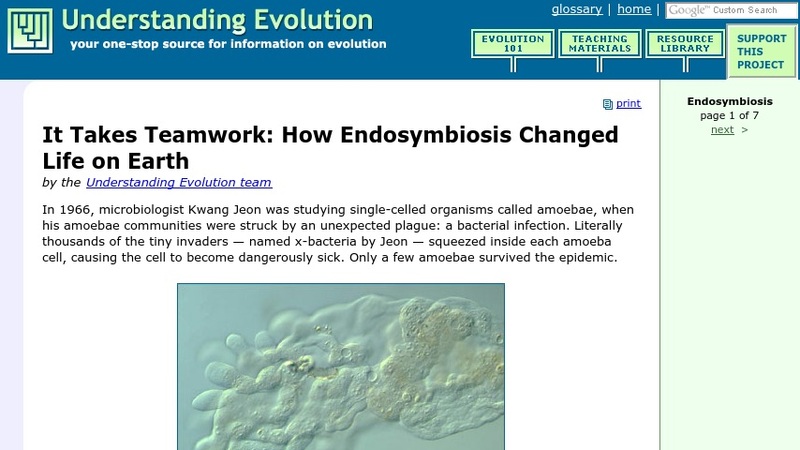 This page is the beginning of a six-page tutorial on endosymbiosis and the evolution of eukaryotic organelles. Topics covered include definitions of symbiotic relationships, differences between prokaryotic and eukaryotic cells, the evidence for endosymbiotic origins of eukaryotic organelles, and the impact of endosymbiosis on the structure of the tree of life. The tutorial includes excellent illustrations and several Weird Fact side bars. This is an introductory level resource.